Please join us for an educational program focused on improving the evaluation and management of conditions found in student athletes and aspects of injury management. This program is recommended for local Athletic Trainers working with all student athletes. This program will provide a maximum of 1 category A CEUs for Athletic Trainers. Target Audience: Healthcare professionals in athletic settings (athletic trainers, nurses). Parking: On-campus parking is available as well as street parking. Please email dcata.atc@gmail.com for more transportation information. The program is free of charge for DCATA members and 25.00 for non-DCATA members. 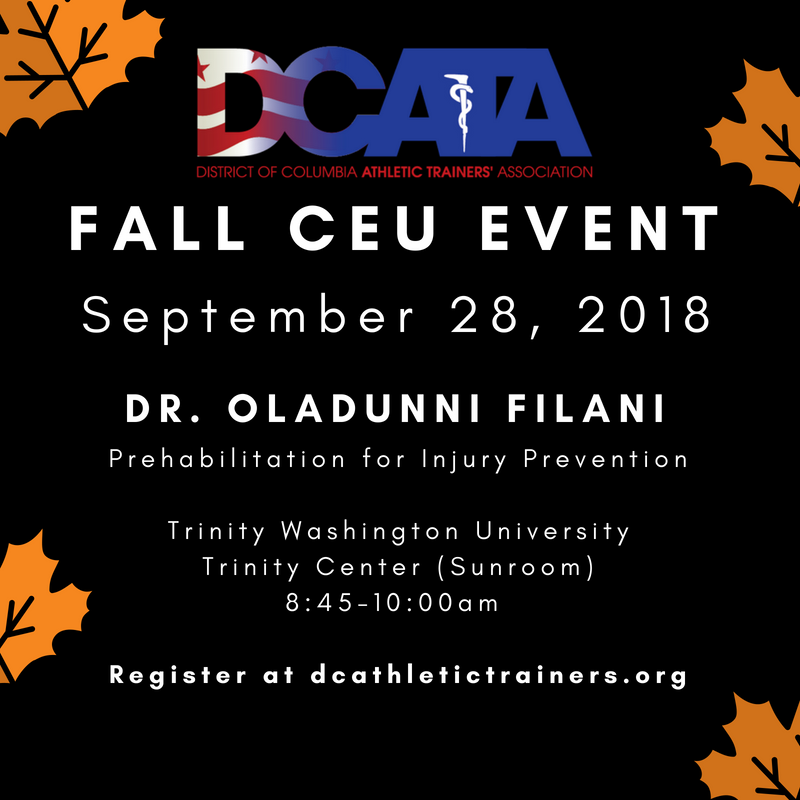 Please register at dcathletictrainers.org/events for this event. After the presentation, complete the course evaluation and course assessment. With the completion of the program evaluation and course assessment, and paying the course fee, you will receive your CE certificate of completion via email. You may also request a copy to be sent to you by mail. In the event of loss, there is no charge for a replacement copy of a CE certificate.